First the good news. 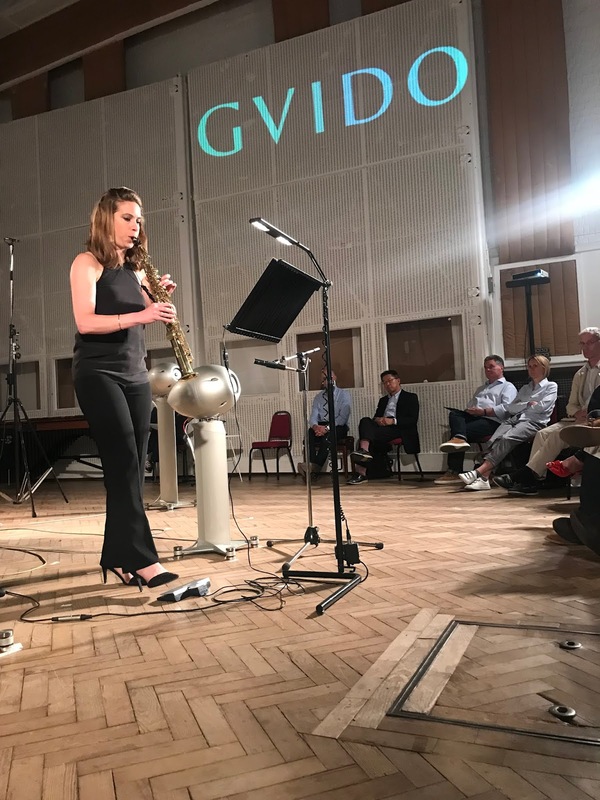 A new sheet music e-reader from Japan called GVIDO, in homage to Guido D'Arezzo, was launched at Abbey Road last week, and was demonstrated in use by classical musicians such as saxophonist Amy Dickson (above). 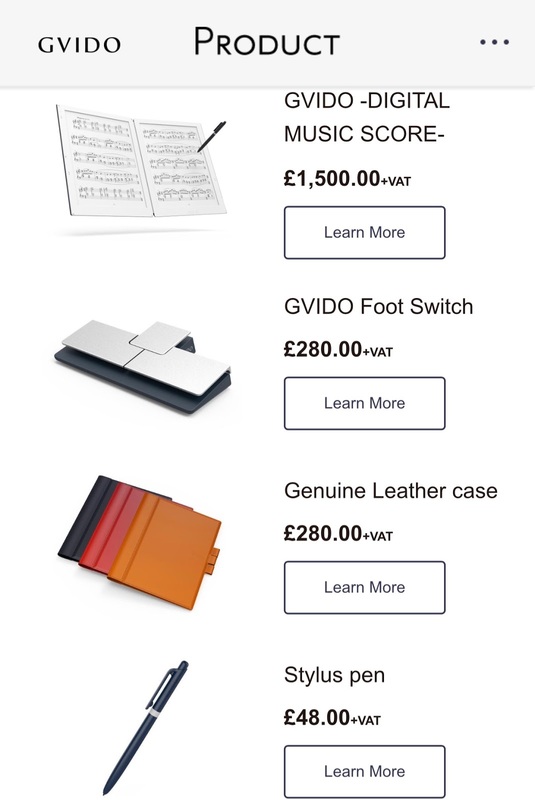 Here is the promotional video from manufacturer Terrada Music Score Co., Ltd. It was first sold out of one music store in Tokyo in late 2017, and is now starting to develop a network of distributors in other countries including Trans-Cosmos UK whose site doesn't actually mention this affiliation. 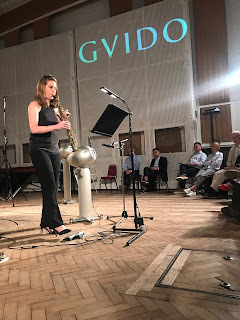 A lot of thought has gone into the convenience factor in the manufacture, and a target audience of classical musicians looking to replace sheet musi has been identified. The Gvido is based on a double-page, with screens made of flexible e-paper - rather than glass. The frame is carbon fibre, so it is claimed to be unbreakable in normal use. There is some sophisticated technology in the hinge on license from Vaio. The total weight is 660 grams. It is possible to add annotations and markings. But thre are drawbacks. First it is based on PDF technology. One highly critical review has found the constant need to return to a menu/library page rather than e.g. being able to have menus in windows decidedly clunky. 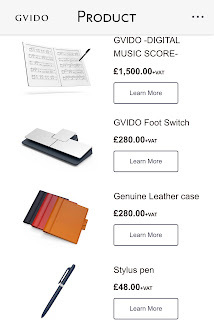 And then there is the price: a complete four-part set of the equipment (a first stylus is included with the e-reader) shown below currently sells for just under £2,500 including VAT.